While tooling around southeast Utah with my friend Jeff, we had the opportunity to visit a very out-of-the way town called Bluff. First settled in 1880 by a group of Mormons, it was known originally as Bluff City. The first buildings were simple, one-room cabins (approximately forty to fifty in number) which were arranged so the outer walls made a fort. All the windows and doors faced to the inside, making a large, open square for the townspeople. On the north end of town a meetinghouse was built and was used as a church and school, quickly becoming the social center of the community. Luckily for today’s visitors, one of the original structures has survived; the home of Harriet and Joseph Barton (and their eight children). It’s a wonderful reminder of the early days on the San Juan frontier. During the summer of 1997, a group of concerned volunteers from all over Utah converged on Bluff to work on conserving the cabin. This was the beginning of a much more ambitious project which has since come to pass. The Bluff City block where the Barton cabin stood has now been acquired, and a copy of the original meetinghouse has been constructed. Great care was taken to replicate the original structure as close as possible (size, shape and location). 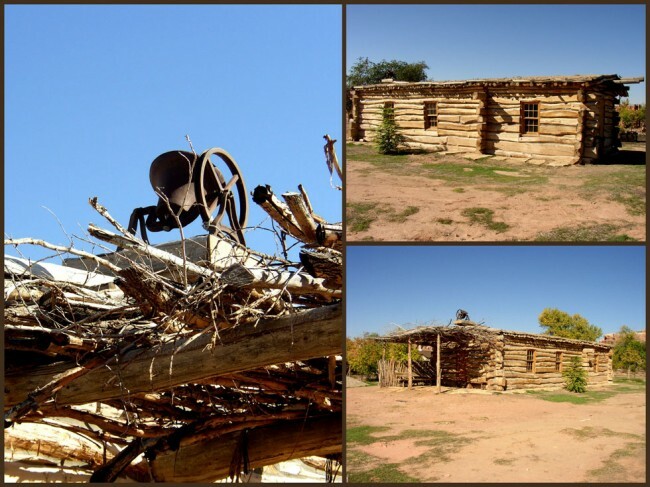 It was constructed of cottonwood logs and covered with a dirt roof. The site is open year round for free, self-guided touring. The meetinghouse is available for various functions (meetings, receptions, reunions or other appropriate social uses). There are plans in the works for upgrading the area to include more features and conveniences. 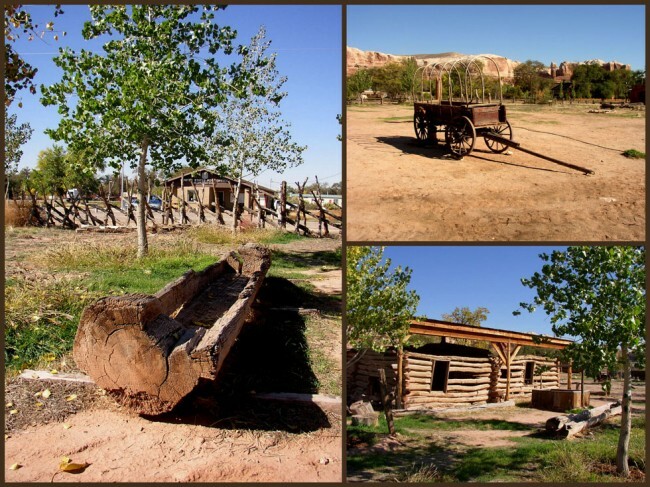 If you’ve ever wanted to travel to a place which has an authentic flavor of the pioneer west, Bluff is for you. 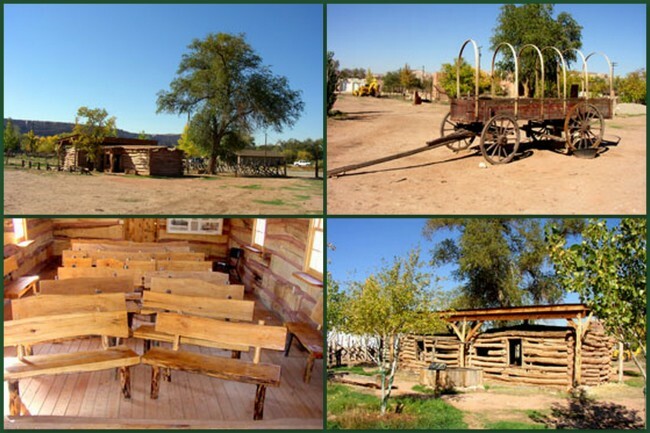 Take some time to roam around the site, explore the buildings, touch the old wagons, sit under one of the massive cottonwood trees adorning the downtown area and just take some time to breathe in the wonderful desert air. Though Bluff is off the beaten path, it’s a place certainly worth detouring to see. You can take a “virtual tour” of the Bluff Historic District by going to their website at http://www.bluffutah.org. This site gives you tons of great information on this amazing little town in the Four Corners region.